The Hispanic Leadership Tour mission is to educate Corporations on how to gain a global competitive advantage by allowing their Hispanic Talent to activate their natural characteristics that make them great leaders to propel workplace innovation and spearhead marketplace growth & expansion. The tour will call for new support of the recruitment, retention, development and career advancement of Hispanic leaders to help corporations achieve business imperatives. Join us and discover your authentic leadership skills. When properly trained and mentored, Hispanic professionals thrive in leadership roles. CHL has proven this to be true. The 2011-12 Hispanic Leadership Tour mission is to educate Corporations on how to gain a global competitive advantage by allowing their Hispanic Talent to activate their natural characteristics that make them great leaders to propel workplace innovation and spearhead marketplace growth & expansion. CHL will visit ten (10) of some of the most popular Hispanic workplace communities in America. Corporations will be given the opportunity to send their Hispanic Professionals to attend CHL's intensive two-day workshop: Discover Your Hispanic Leadership Impact and Influence. 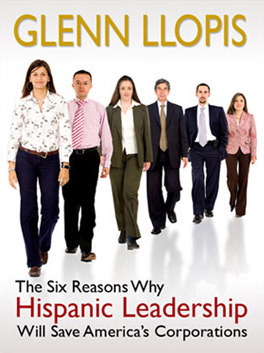 Glenn Llopis, CHL Founder / CEO, will conduct workshops, executive roundtable forums, plenary sessions, keynotes and interview key influencers across corporate, academia, non-profit and government sectors to address the importance and significance of Hispanic Leadership in America.